Under the Hand Wraps brings you WBO Featherweight Champion Oscar Valdez, an inside look at growing up to become a two-time Olympian and World Champion. Valdez’s road to success in boxing has never been easy, the native of Nogales Mexico talks his childhood in his home country and years living in Tucson Arizona. Growing up in Mexico and attending elementary school in the US, Valdez is quickly becoming a star in boxing. A bilingual champion with an aggressive fan-friendly style is why he is must see TV. 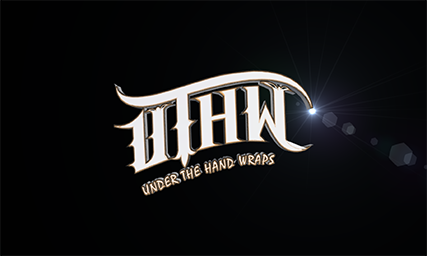 Creator/Producer/Director of Under the Hand Wraps and owner of underthehandwraps.com. Albert Baker is still the Senior US Writer at InstantBoxing.com and is based in Los Angeles. LEONARD ELLERBE: I WAS IMPRESSED, DANNY LOOKED SUPER STRONG! BRANDON FIGUEROA: THEY DON’T KNOW WHAT TO DO WITH THE PRESSURE! Under the Hand Wraps and Baker and Baker Productions are committed to providing boxing cinematography and news at the highest quality. All rights to original media produced by Baker and Baker Productions is reserved.